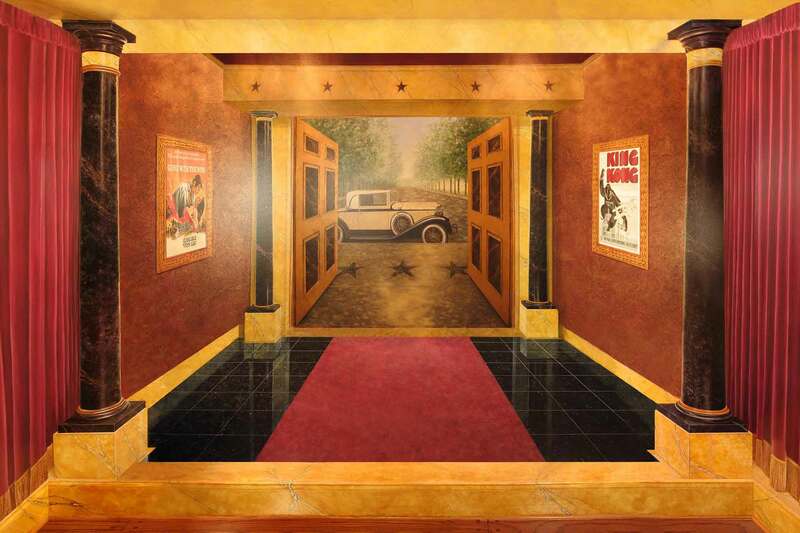 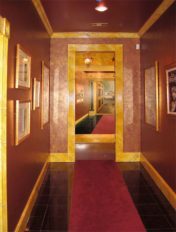 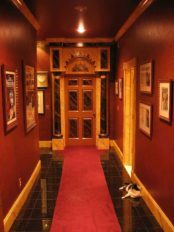 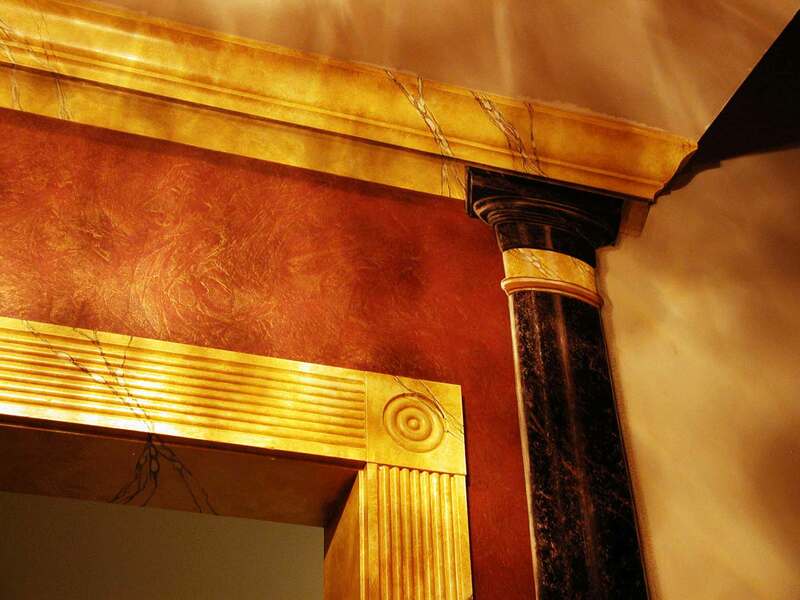 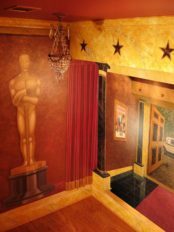 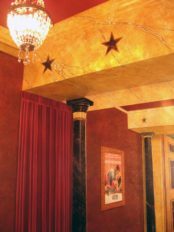 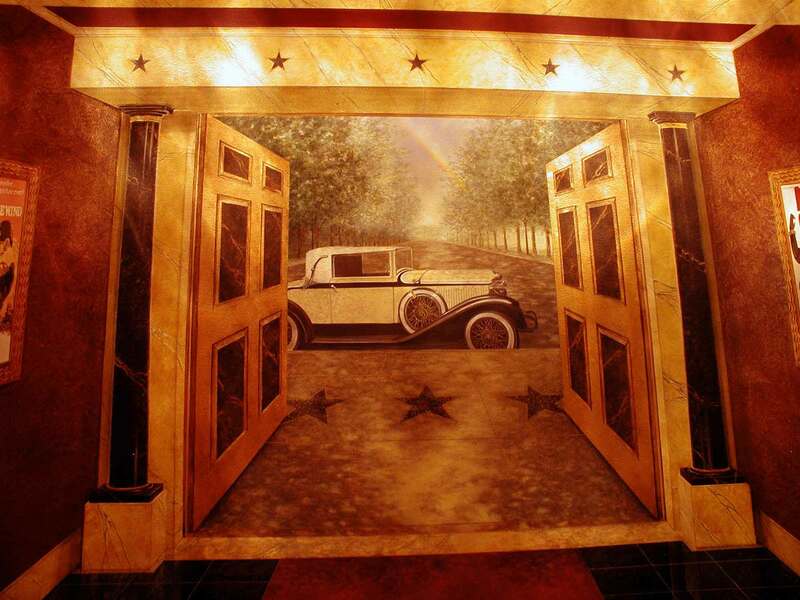 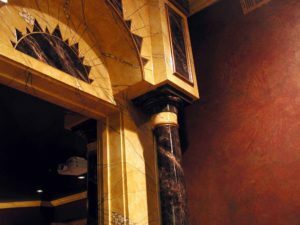 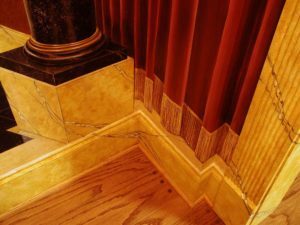 This mural features trompe l’oeil elements painted to appear 3-D like the faux finished architecture of the adjoining hallway and theater. 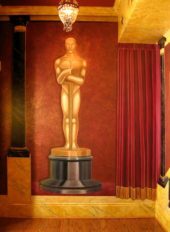 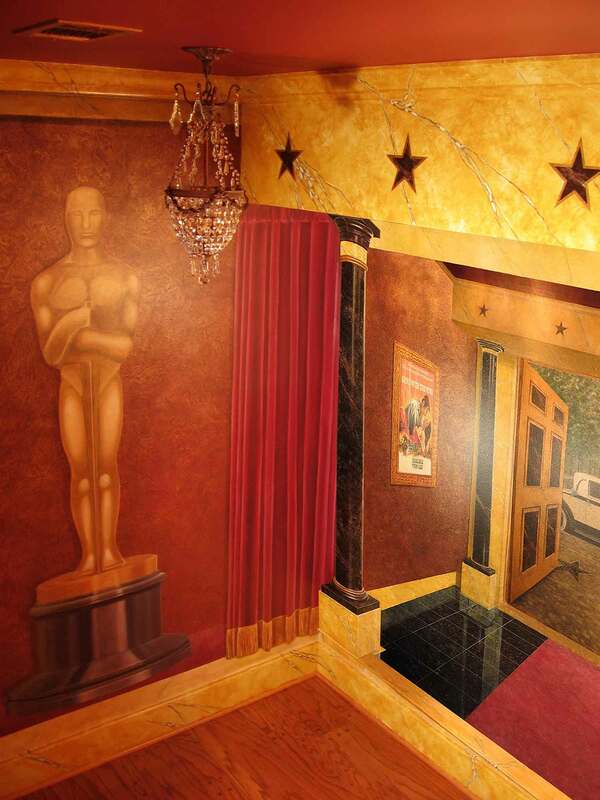 Everything pictured in the mural is painted on flat walls but made to appear to recede in space; columns, curtains, reflective marble tile floor, carpeting, doors, framed posters, doors to outside, and a life-sized Oscar statue all are illusionistically painted. 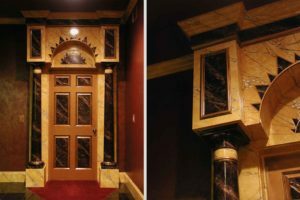 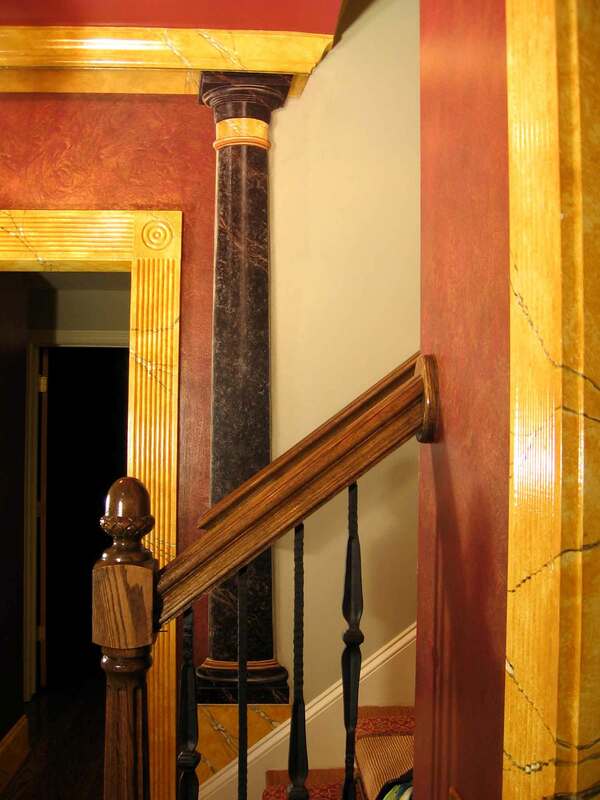 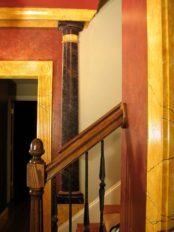 Inspired by 1930’s movie palaces and art deco icons like the Chrysler building, McKeithan created this home theater foyer, hall and theater, featuring faux inlaid black and gold marble, sienna marble, and antique bronze architectural elements. 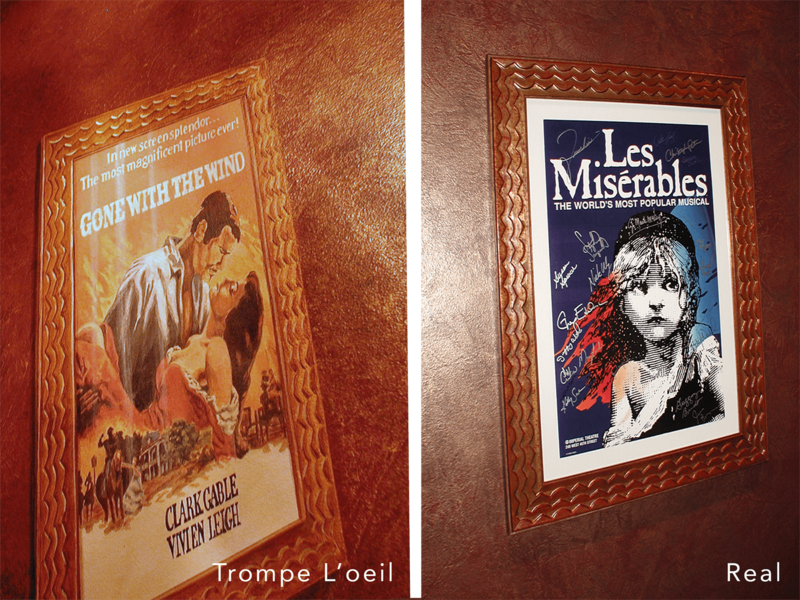 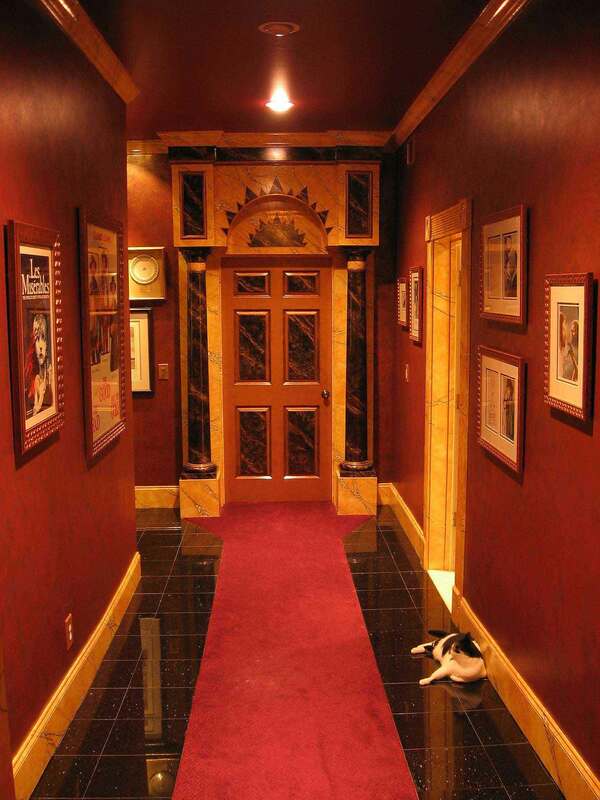 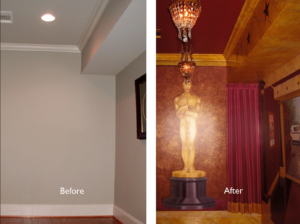 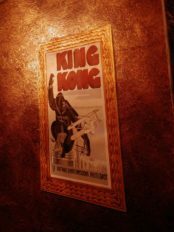 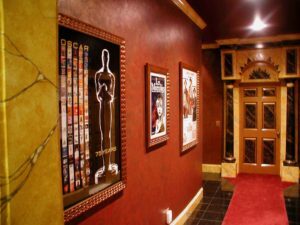 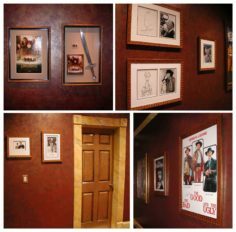 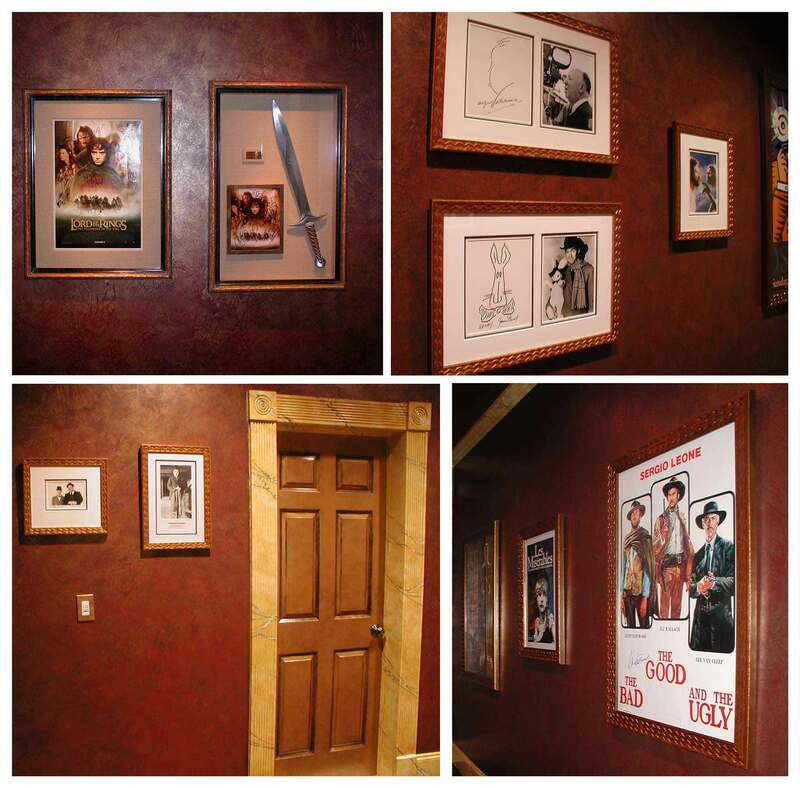 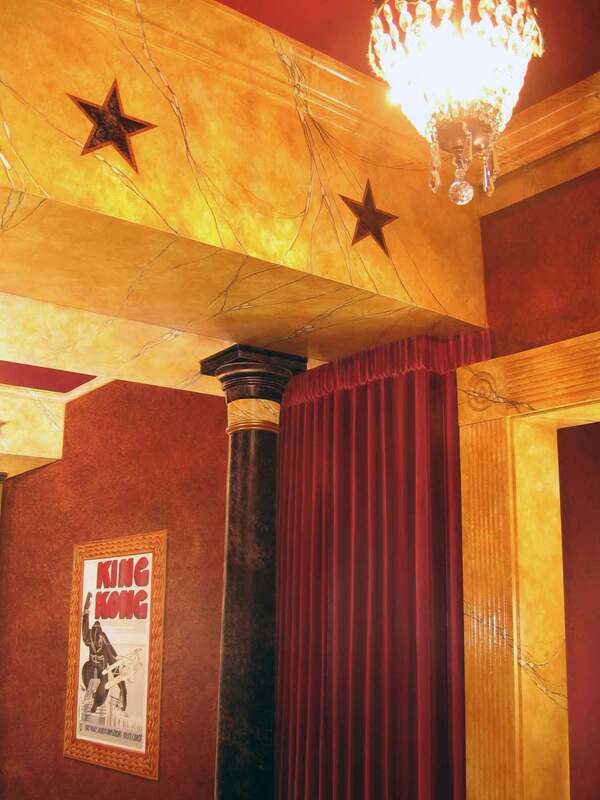 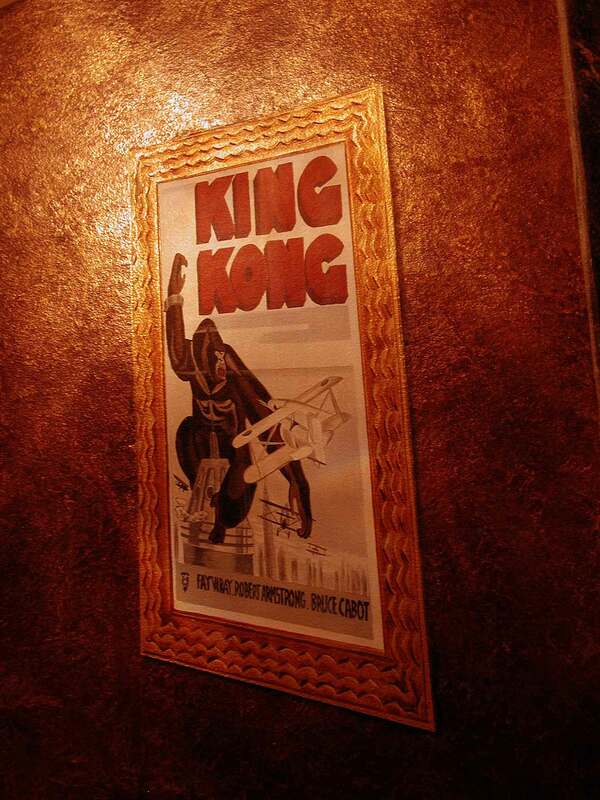 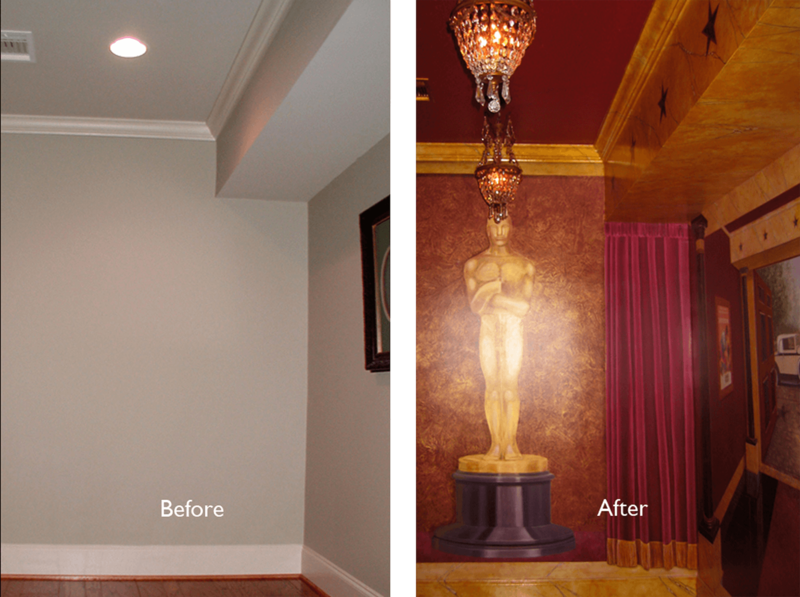 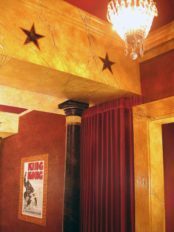 She selected art deco frames to accentuate the client’s collection of autographed movie posters, photographs, and props then painted the walls in a rich antique gold and red leather faux finish. 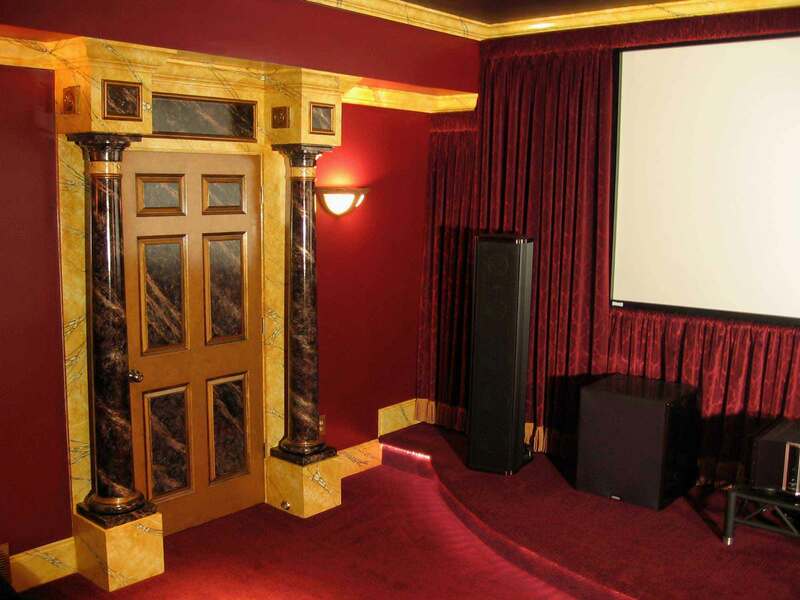 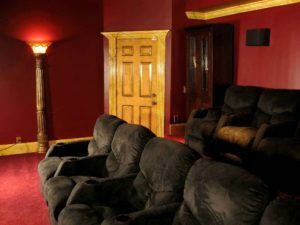 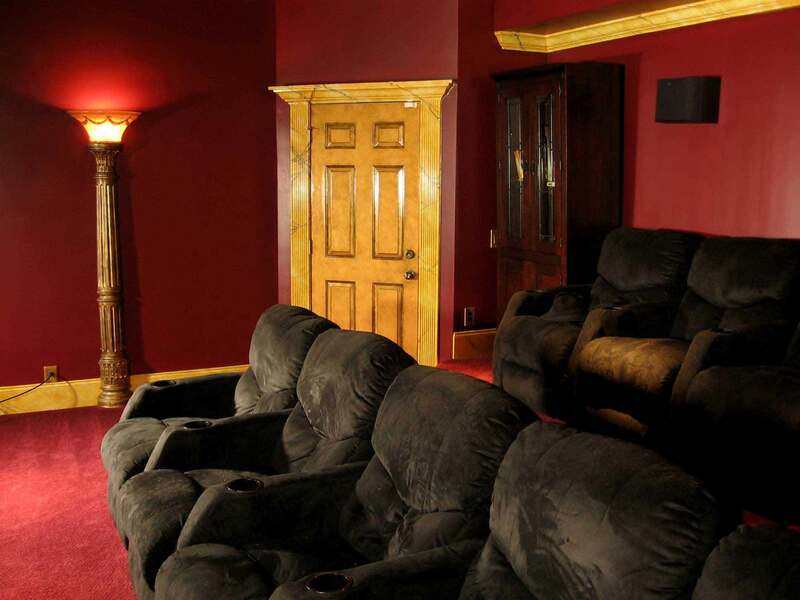 McKeithan selected the bronze and Austrian crystal light fixtures, both to complete the early 20th Century feeling of the home theater area and to complement the architectural style of the home. 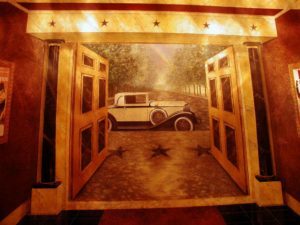 The detail photo of the antique car highlights a serendipitous feature of the lighting. 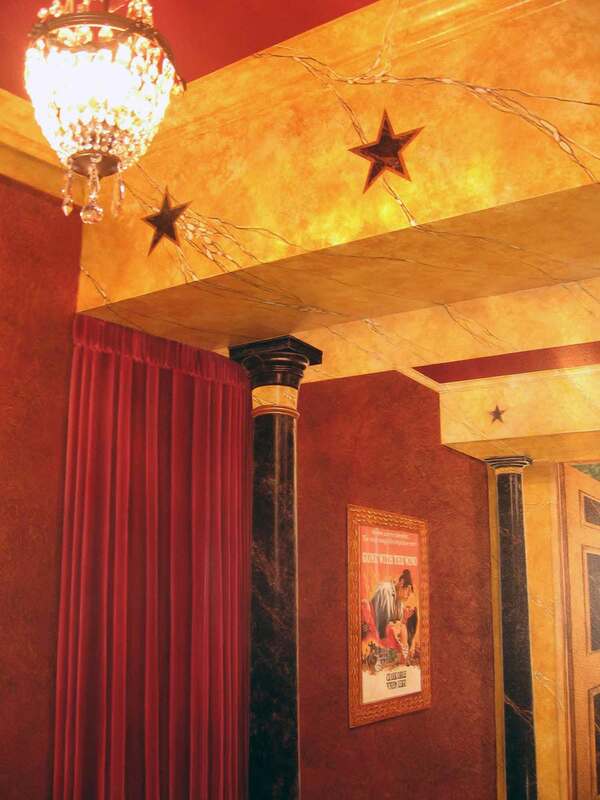 The crystal’s prism effect casts a rainbow directly across the sky in the middle of the mural.